"If you are interested in a life long journey of flamenco, then you are in for a real treat studying with Chris. Likewise, if you are just starting your journey of learning guitar I’m confident that with a little work on your part you will achieve your goals with Chris as your instructor." - Tony M.
Are you interested in learning Flamenco, Classical, Rock, Acoustic guitar? Want to learn Guitar Theory, Composition, Improvisation & Advanced Soloing Concepts? I am currently enrolling students (Ages:10 +, Levels: Beginner-Professional) who want to study guitar. will bring surprising rewards and benefits to your life. Sign up today and move toward your dream of learning to play guitar! Fill out the form below and Get started today! Chris is by far the best. -Mark L.
Chris is the best teacher I have ever had. I found that to help me a lot. -Edward L.
along the path of creation more than Chris B. Jácome! - Dustin L.
make your progress steady comfortable & positive. Thanks Chris! 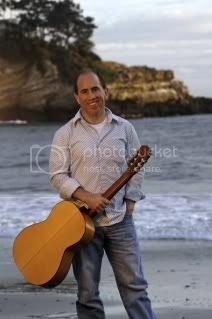 - Ray G.
If you are interested in learning Flamenco guitar, Chris Jácome is an outstanding instructor! - John P.